Are you an aspiring artist or do you and friends have a band and want to be famous? Do you guys record songs together and think you’re good enough to make it? These are some of the questions many of those who think they got what it takes to be a music artist often ask. That’s because for aspiring artists or bands, the most important thing is trying to get their music on a label. The best way to do so is by sending your tracks to top record labels in the country. But just how do you go about doing so? Below, we have an easy to follow guide that shows how to send your music to record labels easily. This guide can help you submit your demos to top record labels. In turn, that will give you and your band the best opportunity of being signed or picked up. The very first step in sending your music to record label companies is to select your track or tracks you have done. Make sure you only choose those tunes you are totally satisfied and happy with. But, don’t just take your favorite tracks. Pick some of your friends and family members to hear the tracks as well. Let them give you some input and see which ones they think are the best. Be sure to only select a few tracks – 2 or 3 the most though. 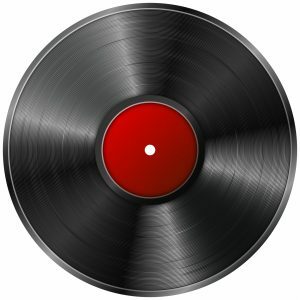 Since you are an unknow artist, record labels don’t want to sift through your entire recorded track collection. Chances are that if they like your music, they will ask you for more tracks anyway. A big mistake made by some wishful artist is sending record labels or music producers teasers or short demos. Avoid doing that and make sure you are sending tracks in full length. This should be around 320 kbps. It is important that the quality of the track is also very good. If you send a sloppy or bad quality track to a record company, they will likely throw it out and ignore you. It is just like a job interview so you must put your best forward. You can choose to upload your tracks to a private cloud service. This will let you send them the link and it will make it real easy for the record label to play it and listen to it. But make sure that the free download option is disable to protect your tracks. An important step in making sure your track is heard is writing a great submission message. If you have a tacky email message to accompany your track, the record label recipient may not even bother to open it. You have to treat this just like a job interview and keep it professional. Choose a message that will grab their attention right away. Once you have done that, the next step is the body of your email or letter. Here, you need to explain all about you or your band. Tell them who and/or your band are all about. Speak about your music and what you are looking for. Add some personal details to the message and include any – press shots, track descriptions and album art or cover. Lastly, make sure you add the links to your tracks. You can use a number of templates available that let you format them. This way, you can show forth what you are all about as an artist. Before, people who wanted to send their music to record labels had to go through a lot of steps. That included searching for the email addresses of record labels they wanted to send their tracks to. But that is no longer necessary or recommended. There is a site called Write Rhythm which can help you select the best record labels for you to send your tracks to. More importantly, only those that are relevant to your music will be listed. Their filtration systems will handle all of the work and pick out the best ones for you. Follow the instructions on their site to send your tracks to those record labels you select. The last step is one of the hardest, but also the best one. Here all you do is wait for the record labels to respond to your submission. Make sure you check your email you provided to them on a regular basis. While you should respond to all replies, you also need to think about your decisions you may make. Keep in mind that the A&R departments are very busy. That means they may take a long time to finally respond to you. If you do receive any offers, don’t finalize any of them until you have heard from other companies. Also, be sure not to sign off on the same track before you contact the record labels which are involved first. Just be sure to keep your tone professional with them when you are communicating back and forth. Good luck in getting your music tracks sent and picked up by record labels!